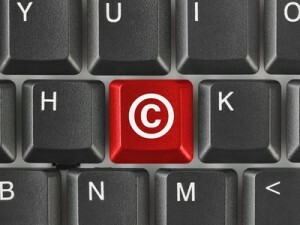 So what exactly is a copyright and what does it protect? Copyright is a form of protection provided by the laws of the United States (title 17, U. S. Code) to the authors of “original works of authorship,” including literary, dramatic, musical, artistic, and certain other intellectual works. This protection is available to both published and unpublished works. Before January 1978 when the 1976 Copyright Act went in effect, copyright law only protected a work after such work went into publication, was properly registered, or obtained a notice of copyright. However, any work after January 1978, published or not, is protected by copyright law as soon as the work is fixed in a tangible medium of expression, such as paper, canvas, disk, audio tape and computer hard drives. It is important to remember that a work does not have to be registered with the United States Copyright Office in order to have protection, but there are benefits to doing so. Also, as of March 1989, your published work does not require that the copyright notice symbol be placed on the work (e.g., Copyright 2017 John Doe., © 2017 Johanna Doe, Copr. 2017 Junior Doe) for protection. In the age of the Internet and social media, it has never been more important to protect your intellectual property and to avoid infringement suits. And that’s why consulting with a copyright attorney is always the wise thing to do.